Magnelab first introduced Rogowski coils to the market in 2009 as a current monitoring solution that would work well in tight spaces due to the flexible nature of the coil. In addition to flexibility, there are several other advantages to using Rogowski coils. Without question, Rogowski coil linearity and accuracy, when measuring current, demonstrates exceptional results. Given the right measuring equipment, it is possible to gauge linearity to practically zero amps on the low end. It is also possible to measure above 25,000 amps on the high end with low linearity error. This gives Rogowski coils an inherent advantage over other current transformers and measuring devices that do not measure that same range of current with one device. For common use, since the voltage output of a Rogowski coil is so low, most applications require an integrator/amplifier to boost the output signal. When introducing different equipment, there is an inherent effect on the signal. What is that effect, and how does it affect the results of the current measurement? Most testing equipment, meters and data loggers in the market will have a difficult time showing results from a standard Rogowski coil with a current below 25 amps. This is due to noise that results from amplifying the small signal from a Rogowski coil. This low cutoff assumes good quality power supply in addition to other best practices. 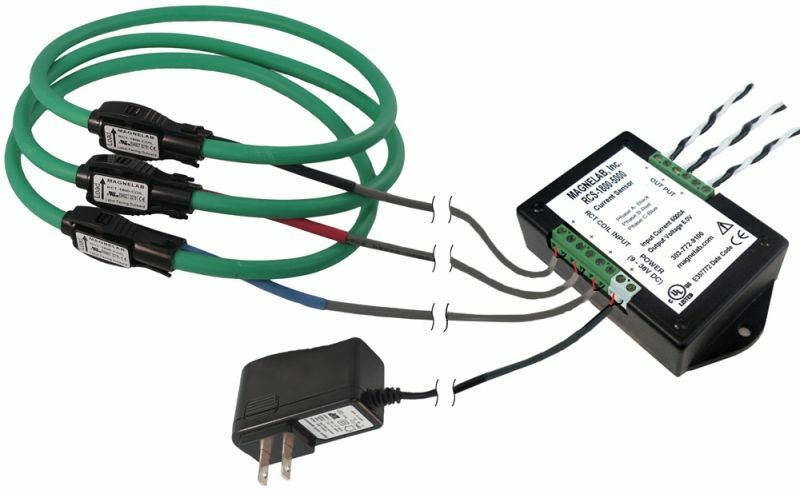 In addition, since most meters and data loggers require a boosted or amplified signal higher than the raw output of the Rogowski coil, an integrator/amplifier is required to boost the data to interpret it with a measuring device. The quality of the electronics in the measuring device is another factor to determine whether or not the data is presentable at low currents. 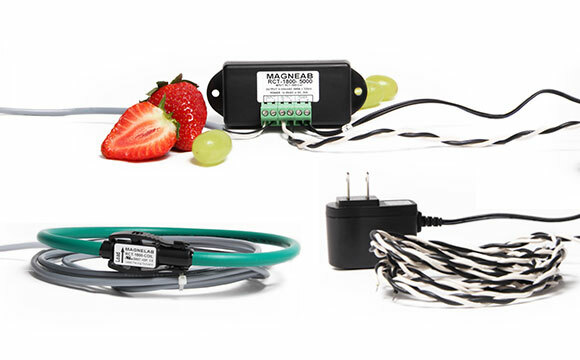 To amplify the low voltage signal of a Rogowski coil, Magnelab manufactures single-phase and three-phase integrators to go between the Rogowski coil and the measuring device, which is typically a current meter or data logger. For the three-phase system, the voltage is amplified from 0.333 Vac up to 5 Vac. Magnelab also currently manufactures 4-20 mA output options. For our single-phase Rogowski coil systems with a 0.333 V configuration, the output is limited by a set of small signal diodes to around +/- 0.7 V peak. The maximum output should be close to 150% of rated output. Our single-phase Rogowski coil systems with a 1.0 V configuration and limited by the internal power supply, generate a maximum close to 175% of rated output. For our three-phase Rogowski coil system, the total range is limited by the internal configuration. With a 0.333 V and 1.0 V configuration, the maximum output should be close to 500%. With a 2.0 V configuration, the maximum output should be close to 400%. And, finally, for a 5.0 V configuration, the maximum output should be close to 160% of rated current. These results assume accuracy class 1.0 per IEC 61869-2. For what applications could you use a Rogowski coil?